The Reader Bee: 1400 Followers Giveaway: Win a May 2012 New Release! 1400 Followers Giveaway: Win a May 2012 New Release! It was pointed out to me recently that I had reach a milestone of 1400 amazing followers! It still surprises me everyday when I get a new follower. I love you guys! So to share the love, and to say THANK YOU, I've decided to have a giveaway! All of my followers are the best! will get to choose One of the May 2012 New Releases listed above! TWO winners will be chosen, the winners will get to choose ONE of the books listed above. Please note that the book will not ship until it's release date! Thanks for the awesome awesome giveaway! 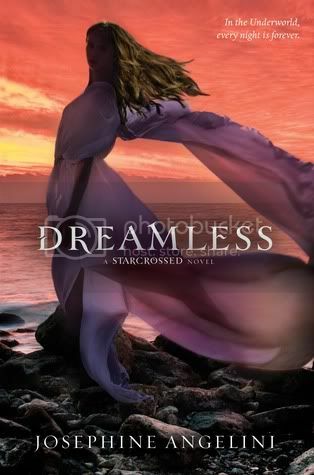 I'm most excited for May's release of Dreamless since I fell in love with Angelini's Starcrossed. Adored that book. Congratulations on your 1400 followers and thanks for having the giveaway. The May release I am most excited about is Insurgent though I am also very excited about Taken By Storm by Jennifer Lynn Barnes. 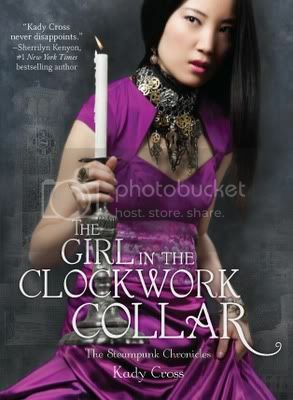 She is one of my favorite YA paranormal fiction authors. I can't wait for Bitterblue. Thanks for the giveaway. From that list, I'd say Sweet Evil! I have a few ARCs of some of these and read a few as well. Still need to read Divergent before I get excited for Insurgent! For some reason my computer isn't loading the books that you're offering... :( But I'm definitely excited to read Sweet Evil and Bitterblue, which I see others have mentioned above. Taken by Storm sounds really good too! Congrats on reaching 1400 followers! :D Eeek, there are a few that I am super excited to read! But Insurgent is definitely the one that I'm the most excited for! :D Thanks for the giveaway! 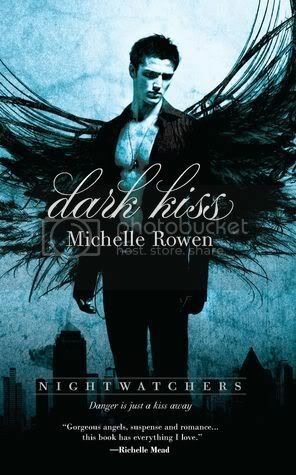 I think they're all on my TBR shelves but the one I'm most looking forward to (that isn't going to hit my mailbox on release day *ahem* Insurgent) would have to be Michelle Rowen's Dark Kiss. Sounds fabulous, no? May is crazy for books i want/need to read. I pre-ordered Insurgent and a Nora Roberts series release..i was going to buy Sweet Evil and Darkness Falls (will wait till May 11th..LOL) I am reviewing The Girl in the Clockwork collar and Dark Kiss. Congrats to you on 1400..you deserve it! thanks for your awesome giveaway! This is a great accomplishment! COngrats! 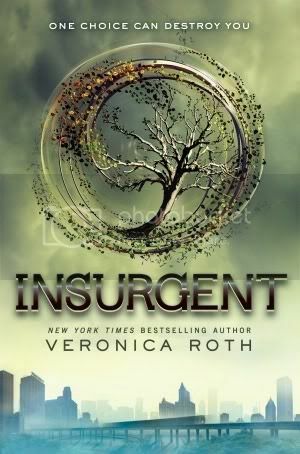 Oh and I am definitely most excited to read Insurgent! Most excited for Insurgent, but since I already have it preordered, I'd probably pick one of the others :-) Thanks for the giveaway! I agree with DarlingNickey. They're all on my list...which I feel is getting super out of control! I'm looking forward to City of Lost Souls just because I'm reading that series....but they all look freaken awesome! Lovely covers. I'm stuck between Sweet Evil and CoLS! As for my pick, there are several tempting ones out there, but I'm going for Bitterblue. Love me some Seven Kingdoms! I've been waiting for this one for what seems like forever. I would definitely have said Insurgent but as I have already read it, I am now most excited for City of Lost Souls!!! That's a tough choice, but I'm going to have to say Sweet Evil. :) I didn't get any ARCs of these at TLA, but I got some others due out in May. It will be a great reading month! I am so loking forward to reading both Until I die and Dreamless. Can#t wait to have these on my shelf. Thank you for this amazing giveaway, and congrats for 1400 followers! The Lost Prince by Julie Kagawa! I get to go back to the world I fell in love with! Congratulations, Christy! What a huge milestone! 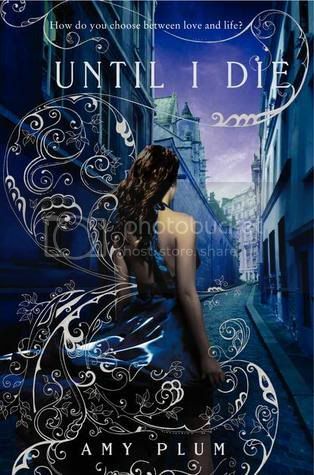 Well I already bought/preordered Insurgent, Bitterblue, CoLS, and Until I Die. Clearly I have a problem. I would love to win Dreamless though. Congrats on the followers and thanks for the chance to win! Definitely Insurgent but they're all awesome! WOW 1,400 followers, that is truly a milestone Christy, I'm really hoping to reach this huge number someday .. I'm always thrilled to get some new followers too :)!! Congratulations and thank you so much for this amazing giveaway !! You couldn't choose a better time to do this giveaway, there are tons of amazing books releasing in May. I've already pre-ordered Insurgent and City of Lost Souls and I'm dying to read them !! 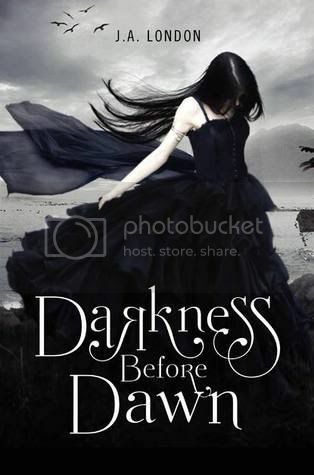 I also can't wait to read Darkness Before Dawn, Sweet Evil and Until I Die (goshh Die For Me was amazing) !! Thank you so much Christy and congrats again, that's awesome ! Congrats on the 1400+ followers! I can't wait for Black Dawn in the Morganville Series and for the final book in the Need Series by Carrie Jones, Endure! Thanks for the great giveaway! Congratulations Christy!! That is awesome! I'm really looking forward to Sweet Evil. INSURGENTTTTTTT!!! No other May release exists for me (I'm kidding, kind of). I would do a freaking happy dance if I could read it right now! I'm also excited for Bitterblue, but I'm waiting for the US PB. From this list I am going to choose Insurgent. Sweet Evil looks great too though. City of Lost Souls. I need some more Jace! I am SO EXCITED to read Insurgent! I really enjoyed Divergent way more than The Hunger Games so to finally be able to read the follow-up is awesome! 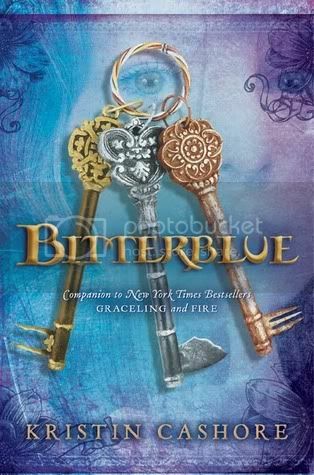 I'm most excited to read Bitterblue, closely followed by City of Lost Souls. As for the release I'm looking forward to the most...definitely Insurgent. It needs to arrive in my mailbox, like, yesterday. I can't wait for Insurgent! Congratulations! 1400 followers is a massive milestone and a well deserved achievement (your blog is awesome). I am most looking forward to Bitterblue- it has been a long time coming! I want to read Sweet Evil the most! Congratulations! I can't wait for Insurgent and Until I Die. Thank you for the giveaway! I'm most excited about City of Lost Souls. But I'm also very curious about Dark Kiss. Thank you!! Those all look fantastic! I'm interested in Bitterblue. Congrats on the Followers! Thank goodness Insurgent and City of Lost Souls don't come out on the same day. CONGRATS!! People follow 'cause you're awesome. Of course. :) So many good books coming out--I want to read them all! But I'm especially excited for Bitterblue. Congrats on reaching 1400 followers, and thanks for the giveaway! I'm most excited about Insurgent. I'm very excited for Sweet Evil! I've heard amazing things about it, so that makes waiting difficult. :P Thanks for the great giveaway! I'm looking forward to read City of Lost Souls! Amazing series. Sweet Evil of course, but it really is a toss up! All of the books being given away look awesome! I'm looking forward to Hemlock. Sooo excited. City of Lost Souls and Insurgent! Thanks so much for the giveaway! Congratulations on hitting 1400 followers! That's great! I'm most excited for Insurgent. Congrats on so many followers and thanks for the giveaway! Congrats on 1400 followers! I really want toread Insurgent, Dreamless and Sweet Evil! Congrats! I would have to say I'm most excited about Insurgent. INSURGENT! the waiting is killing me! Definitely Bitterblue!! or... City of Lost Souls! Agh, can't choose! Thanks so much! Just one? LOL I cant wait for ALL of the books you have up there! Thanks! 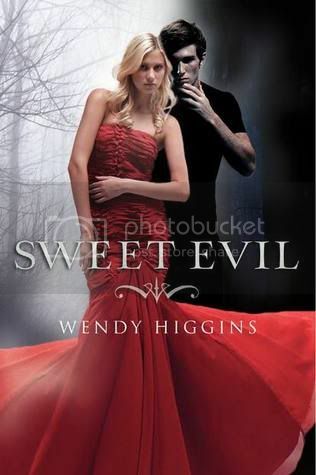 I'm looking forward to Wendy Higgins' Sweet Evil. Thanks. Congrats on your 1400 FOLLOWERS! :) I'm really looking forward to City of Lost Souls. Though it's quite hard to choose among the books you offer. Probably Sweet Evil, which I've already pre-ordered from the Book Depository or Dreamless, because I've honestly been waiting nearly a year for it to come out! Definitely Bitterblue from this list! I can't wait to read Insurgent! I must say Andrew Fukuda's The Hunt! I'm most excited for Insurgent! I'm excited to read City of Lost Souls! Oh! wow~~ phenomenal book choices...oh, lala...^_^ love it! Although I'm really excited about Steven Harper's The Impossible Cube! I'm very much looking forward to Darkness Before Dawn :) Congrats on such a great milestone!!! Thank you for such a generous giveaway! Congratulations on the 1400 followers! I'm a new follower! And you have a really great blog! Thanks for the giveaway.. I am waiting for the next book in Morganville Vampires series - Black Dawn by Rachel Caine. Insurgent. I hope my copy arrives soon. Congratulations on so many readers! :) I'm totally waiting for Insurgent! 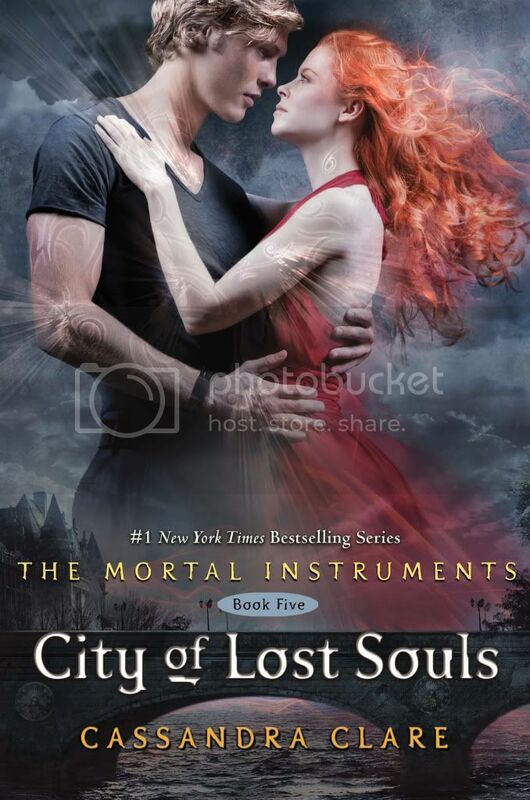 I'm most excited to read City of Lost Souls!!! I'm most excited for Insurgent. I need more Four!!!! I want to read Bitter Blue sounds interesting. Most looking forward to Bitterblue.. but that's already released. The May release book that I'm dying to read is Being Freinds With Boys by Terra Elan McVoy. I can't wait to read Insurgent by Veronica Roth! congratulations on getting 1400+ followers and thanks for this giveaway! Insurgent here, too! :) Thanks for the giveaway! There are so many I'm looking forward to but Bitterblue would be #1. Thank you so much and congrats on all the followers :)! And the May release I'm looking forward to is Insurgent. Thank you for this wonderful giveaway! I am most excited about this four books namely: City of Lost Souls by Cassandra Clare, Insurgent by Veronica Roth, Until I Die by Amy Plum and Dreamless by Josephine Angelini. Thank you! I can't pick just one, I'm sorry. I'm really looking forward to reading Insurgent, City of Lost Souls, and Sweet Evil. In Honor by Jessi Kirby! But from the list, probably Insurgent. Congratulations on the big 1-4-0-0. Thanks for celebrating with this great giveaway! Decisions, decisions. I'm torn between Insurgent and Bitterblue. Insurgent is creating a ton of buzz, but I read Kristin Cashore's Graceling and Fire--they were great. Either Bitterblue or Until I Die. I can't decide! Let's see if I have to :-) Congrats on hitting 1,400! I just finished reading Insurgent and loved it so I am super excited to read Bitterblue! Thanks for the giveaway, and congrats on the follower count! City Of Lost Souls.I would love to read all the books in the contest acctually. I can't wait to read Until I Die.